frabelle | Badudets Everything Nice! 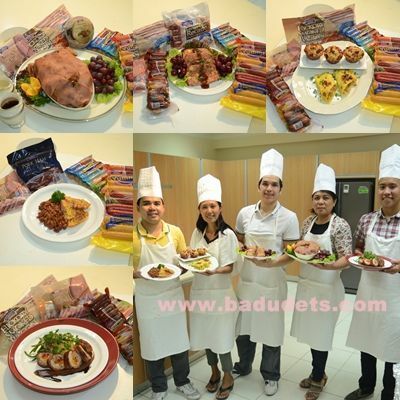 Last January 9, 2013, the 1st Frabelle Foodie Chef was named after Frabelle Foods launched the competition on their Facebook page. Food lovers, enthusiasts and consumers have to come up with their own recipes using any Frabelle Foods products like Yummy! Hotdogs and Cheesedogs, Pork Ham Tocino, Longganiza Hamonado, Hickory Smoked Bacon, and Honey Ham. With all the numerous entries, the finalists were narrowed down to five.